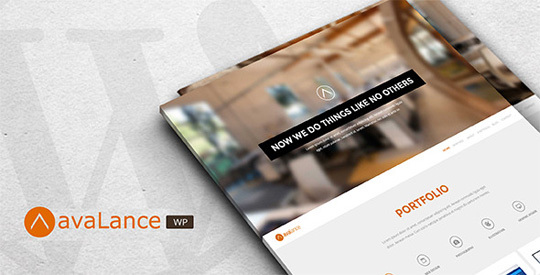 Simple and beautiful, is the perfect words for Avalance wordpress portfolio website theme. We made Avalance with the very important features which are easy to be managed and customised. Avalance wordpress portfolio website theme is suitable for you who are in the business of creative agency to present your great works and portfolio in a great way with this template. If you are a web designer, photographer, graphic designer, which sometimes you do not even have time to do your own website, or you can not do html or programming, with avalance wordpress portfolio website theme, you can save your time, just follow our great documentation, and your website will be ready fast and easy. 5 Flat Color Skins – Avalance have 5 colour skins that you can use very easy. Total Responsive – Avalance is perfectly responsive, in desktop, tabled, and smartphones. Drag and drop features – we provide the drag and drop features in theme option and the gallery of the portfolio, so you can easily arranges some of your contents. Isotope Portfolio Filter – Perfectly responsive of portfolio thumbs, and smooth effect on the filter animation. Parallax Sections – This will allow you to make the look of your site to be more creative. Animated welcome message – Avalance has animation on welcome message in header with more than 30+ effects available, you can also set the animation to never stop, and rolling over and over. Shortcodes – easy and simple short codes, to manage columns, buttons and title h1, h2, h3, h4, h5, h6. Clean Code – Avalance is well written code, valid html and css. Documentation – Complete documentation to use this template.